I thoroughly enjoyed teaching Hypnobirthing to Ally and her very supportive sister. They have such a great relationship and I just knew they would have a good experience during birth. Here is Ally’s birth story. After a very traumatic birth experience with my first born I was apprehensive about giving birth to my second. I had heard of Hypnobirthing and thought it was worth a shot. My sister was my birth partner and came along to the sessions. When the time came I was woken up at 6am with definite contractions. Immediately I started to apply the breathing techniques and was able to stay calm and relaxed. I spent the day in the garden at home with my husband and 6 year old eating ice cream and colouring in, I even managed a couple of games of swingball! Throughout the day the contractions came closer and more intense. At 4pm I asked my sister to come over as the contractions were 10 minutes apart. For the next 2 hours, my sister helped me remain focussed and stay relaxed, she read the affirmations gently stroked my back through each contraction. At around 6pm we made the decision to leave for the hospital. On arrival I was admitted to the Midwifery-Lead unit and was shown to the delivery suite. I had hoped for a water birth but was told all pools were in use so I made myself comfortable in the kneeling position and stayed focussed on my breathing and my sister played the music for birth and talked me though each contraction. The time between being admitted and giving birth was 50 minutes. The midwife commented that the position I was in was helping baby move down nicely. The pain at this point was intense but I felt better prepared and managed to maintain breathing, I was offered gas and air but didn’t accept any until the last few minutes before she was born. At one point I tensed up and notice how much more painful the contractions felt. The third stage lasted 7 minutes and my little girl was born. She was beautiful and pink and healthy. The midwife placed her on my chest and there was an instant bond and feeling of love, I couldn’t believe how perfect she was. Overall the experience was controlled and calm and the breathing techniques really worked for me and helped me to focus on something other than the intensity of the contractions. I had managed to stay at home until I was fully dilated and when I got to hospital, there were no examinations and the midwife was very supportive of me having the birth experience I want. In comparison to my first experience, this was very straight forward and I felt a lot calmer, confident and in control, the 3 c’s mantra of Hypnobirthing. I can say with 100% confidence that Hypnobirthing made this experience what it was. I’m now 4 weeks into my newborn adventure and I’m still using the Hypnobirthing techniques and recordings to help me relax and fall asleep in between night feeds. This whole experience has been invaluable. My sister is also sleeping much better thanks to the techniques she learned in the sessions! Unlike some holistic treatments, Reiki is a completely safe method of natural healing. So safe, that not only can it be used to enhance fertility and to improve the pregnancy experience, it is gentle enough to be targeted directly at the unborn baby. But what can Reiki do for a pregnant woman and her baby? From personal experience and the experience of many of the pregnant ladies I treat, the main outcome of a Reiki treatment is deep relaxation with a feeling of bliss and elation. The Reiki energy creates a feeling of wellness and in those expectant mothers who feel physically “weakened” by pregnancy, a sense of vigour is generated. Regular Reiki sessions during pregnancy, especially in the later stages can be highly beneficial in ensuring that fears about birth and motherhood are reduced so that the natural maternal instincts emerge and develop strongly, resulting in calmness, confidence and positivity for the future. For me, the biggest privilege of giving Reiki to pregnant women is the fact that when an expectant mother receives Reiki, this gentle, but powerful, energy is passed onto her developing baby. During the treatment, baby often responds with quietness and relaxation. The deep and loving connection between mother and baby can be developed in this way, greatly enhancing this incredible and miraculous pregnancy journey. 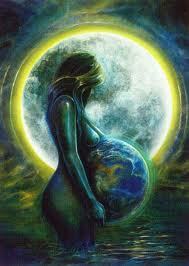 Reiki works well alone, and also perfectly complements Hypnobirthing. If you are thinking of trying Reiki and have more questions or would like to book a treatment contact me for more information. What do you think your role is in the birth of your baby? Often in childbirth we are advised to rely on someone else for the delivery- the doctors, obstetricians, midwives and doulas. Many people avoid the thought of childbirth, because they suppose that their responsibility is only to select the hospital or birth centre. In actual fact, the responsibility for childbirth belongs to the mother and father to be. The parents are the ones who bear the consequences. When it is not clear who is responsible, then in effect no one is responsible, and complications can happen. When everyone assumes that childbirth is someone else’s responsibility, it might turn into disaster. On the other hand, when everyone assumes full responsibility, the result is the most successful childbirth. Responsibility creates the possibility for easy and empowering childbirth. Though others may also have a responsibility, that’s no reason to reduce your own level of responsibility. When everyone makes the commitment to be fully present, giving, open and responsible, a truly wonderful birth can happen. The most effective powerful kind of responsibility is full responsibility. When you take on this kind of responsibility, you create the opportunity to experience the power of the natural flow of birth; you will be able to flow through any challenges and will be much more resilient. Whatever your particular situation, choose to take full responsibility for giving birth and you will experience the power of creation. How can hypnotherapy help? Hypnosis can remove the mental obstructions to an easy birth, enabling to you fully trust your body. It is only once you have trust that your body knows what to do and trust that your mind can deal with anything, that you are able to take control and full responsibility for the successful birth of your baby. I was first introduced to Reiki when I experienced my first treatment about ten years ago and it was the most relaxing and inspiring and experience of my life. Since that very first treatment (and I believe, as a result of that treatment), amazing things happened in my life. In fact I was so blown away by the experience that within 3 years I had become a Reiki Master myself. I have seen amazing changes in people that have come to me for Reiki treatments but it’s the changes within myself that a maze me the most. My attitude towards life itself has become so positive and Reiki gives me an inner strength and confidence that I never knew I had- I find that I can cope with the challenges and knockbacks that life throws at me that previously I struggled to deal with. Reiki changes your life and it has been in my experience that it changes lives for the better. Reiki pronounced ‘ray-key’, is a complementary healing therapy, founded by Mikao Usui in Japan, in the early part of the the 20th century. Reiki, is a gentle and effective system of hands-on or distance healing which activates the body’s own natural ability to heal itself. As a natural healing system, it can benefit everyone, from young babies to adults and is a safe, non-invasive treatment. Reiki is taught by practitioners who have been attuned, a procedure which prepares them so that they may be an open channel for the energy by an individual who is a Reiki Master. These ancient Reiki initiations open the door to grace and a deepening connection with both self and spirit. They offer the gift of light. It has been said that Reiki is like a very powerful light that fills each person illuminating the darkness within. The energy of Reiki is so powerful that it inspires awe and yet it is so gentle that it feels like unconditional love. Reiki works from deep within, balancing your personal energy so that emotional problems from nervousness to depression can be helped. Reiki helps to replenish your vital energy and strengthen the immune system. At the same time Reiki helps with both acute and chronic illnesses by reducing and relieving stress. It is ideal for promoting fertility and remaining balanced throughout pregnancy. 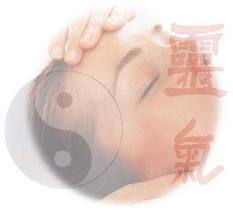 Any one can receive Reiki to improve their life; you don’t necessarily need to be “unwell”.